The name says it all. The basic structure comprises tongue & groove weatherboard, a single door, a window (or windows, if you prefer) and an apex roof. But the secret lies in the quality materials (FSC certified Whitewood, no less that 18mm thick and 100mm floor frame, for example) and our special attention to detail (no exposed end grain to minimise damp intrusion). 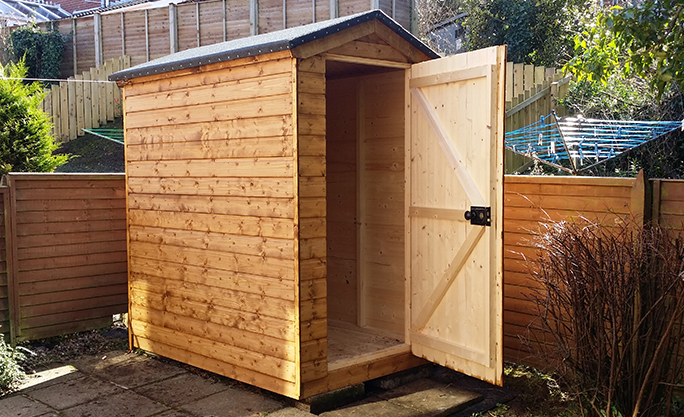 Put it all together, building in your particular requirements (insulation, lining, electrics), paint it the colour of your choice and there you have it - the Classic Storage Shed.